JAKARTA, Indonesia (CNS) — Indonesia has rejected the possibility of abolishing the death penalty at a United Nations hearing reviewing the country’s human rights situation. Abolishing the death penalty was one of the recommendations put to Indonesia by member states at the 27th session of the U.N. Universal Periodic Review in Geneva. The review regularly examines the human rights record of member states. Law and Human Rights Minister Yasonna Laoly, who led the Indonesian delegation at the hearing that ended May 12, rejected the recommendation. She said the death penalty was an integral part of President Joko Widodo’s fight against narcotics, which she described as one of the top-three causes of death among Indonesian youths. Catholic Church leaders in Indonesia immediately criticized the rejection. Father Paulus Siswantoko, executive secretary of the Indonesian bishops’ Commission for Justice, Peace and Pastoral for Migrant People, said the government’s insistence on keeping the death penalty shows its failure to handle drug-related crimes, reported ucanews.com. The government often has argued the death penalty is a deterrent, but Father Siswantoko challenged the notion. “Drug-related crimes and serious violence continue to occur unabated,” he said. 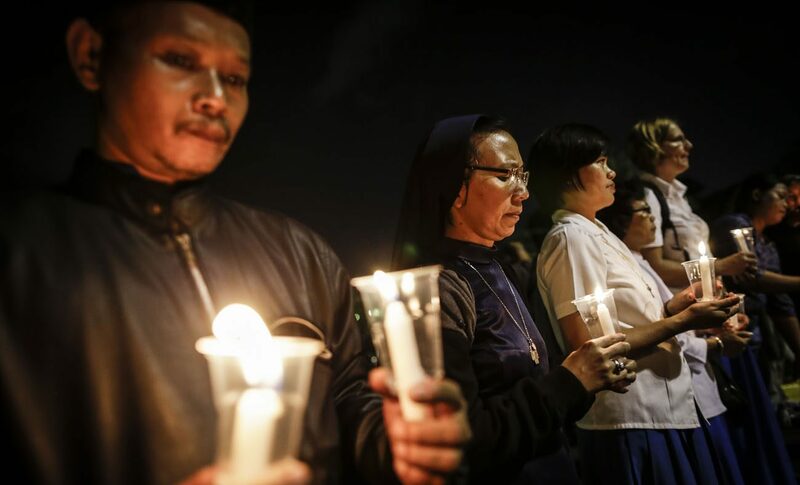 Teguh Budiono of the Community of Sant’Egidio, a Catholic lay group, said keeping the death penalty will perpetuate a culture of violence in society. “Instead of providing a deterrent effect, this practice will only provide an affirmation of the passion of revenge,” he said.